Well thirty years ago, Tim Berners-Lee was messing around with wires and a soldering iron in his shed, devising what would eventually become the world wide web. 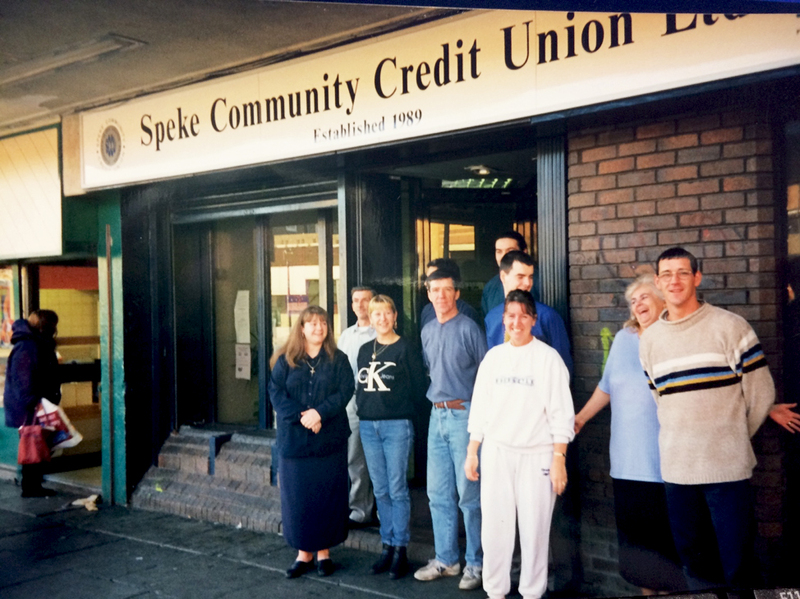 At precisely the same time in Speke a small group of people were meeting in a church hall to formulate a plan to tackle the huge issue of predatory lending in the area. Now I know the WWW has transformed the way the world communicates, you wouldn’t be reading this if it was otherwise! Presumably, Tim’s original idea for the web was that it would become a collaborative space where everyone could communicate through sharing information. Well, those early pioneers of Riverside Credit Union (Speke Credit Union as it was then known) had a similar idea – maybe not as grand in scale but with the same underlying principles. They decided to share ideas and information to form a financial cooperative. Those early innovators in Speke were concerned for family, friends and neighbours who were being mercilessly exploited by loan sharks and doorstep lenders. It has always been expensive to be poor and when the high street banks chose to leave. We had no say in the matter they just vanish. Those volunteers carried on despite the additional setback costing further calls on their time and energy. So, I doff my cap, to those visionaries and volunteers who undertook the less than glamorous task of producing for their community a first class regulated financial institution. One that now provides a safe savings facility and low interest loans to thousands of people every year, way beyond the Speke boundary, lending millions of pounds to individuals right across Liverpool. This didn’t just happen. It involved dedication, tons of hard work, lots of commitment, persistence, “learning by doing” and in truth, no little personal risk. It has been one of the greatest honours of my life to be able to say that for the last 25 years I have had the privilege of working with a group of people who came together in the spirit of cooperation to produce an authentic community asset that will be in place long after we have all gone. Sadly, some of the original group of volunteers have passed away in that time. Great people who genuinely cared about more than their own immediate needs. Others have moved out of the area, and others are no longer directly involved. Unbelievably, however, there remains people active to this day in their credit union. So, as we enter our thirtieth year of trading, it’s fitting to remember those unselfish acts of kindness and important we commit to memory just how hard those people fought to help others. It’s also valuable for us to remember where we come from and how we got to here. I’d say we need to celebrate their achievements and efforts. We don’t know any celebrities, not even anyone famous to flaunt this achievement. Slam us for the self-indulgent outburst if you like, but we’re made up with our 30 years of service. Here’s to the next 30. You can visit us at www.riversidecreditunion.co.uk, and find us on Twitter and Facebook.